HOME OF THE 2015 NKC SHOW DOG OF THE YEAR! We are a small breeding program located about an hour from Ottawa, Montreal and Cornwall in Alexandria, Ontario in a beautiful country setting. 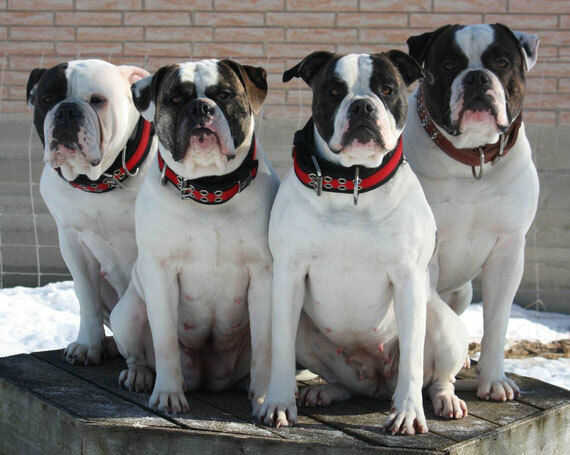 We are extremely selective about which dog make it in our breeding program, all our bulldogs are hip and health tested and we never settle for less. We have a couple breedings planned and some training to accomplish which will require us to be very busy here at home. We are looking to create our own line of dogs with the attributes we desire, we have always been selective of the dogs we breed , this has required many sacrifices along the way but we are looking to compete at the highest level keeping within our own goals. Finding breeding stock is costly, time consuming and labor intensive. We health check and monitor every puppy very carefully and weed out any weaknesses we consider not acceptable. We will not breed a dog with allergies, digestive problems, joint weakness, wry jaw, poor structure, bad hips and any other obvious health problems. 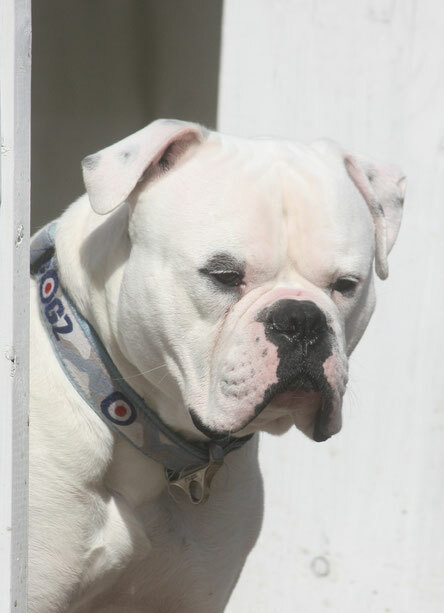 We are also concentrating heavily on sound temperaments, we want a dog that can follow an active lifestyle with an owner who desires more than just "a dog" We want to produce an intelligent, loyal, confident, active and tenacious bulldog with trainability and a will to please. Another important trait that we try to consistently produce here at Bully Rascalz is an ON/OFF switch, we want a ready and willing bulldog but not a hyper dog who stays in high drive all the time, the dog must be able to relax and be enjoyable within the household. We also pay special attention to dog aggression as we do not believe this should be encouraged within our breed, please understand there is a big difference between true dog aggression and a dog asserting its dominance. American bulldogs are not the best dogs to bring to a dog park however it should be able to ignore other dogs in controlled situations and be able to live among other pets in the household providing proper socialization and introduction. We have a few breedings planned this year and although we are looking to keep some of the pups back for our own use, we will definitely have some great pets available for those looking to add a powerful, goofy, determined, active, affectionate, loyal and impressive dog to their family!